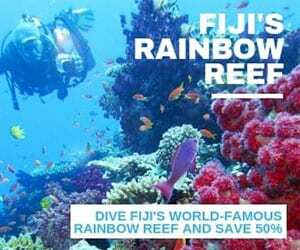 Uepi Island Diving Resorts & Liveaboards | Diving Solomon Is. Uepi is a barrier island between the Marovo Lagoon and the deep New Georgia Sound. The Uepi Resort is on the eastern side of the island where clear ocean water flows through the Chanapoana passage into the lagoon. It has a variety of dive (and snorkelling) sites from the steep walls that drop into The Slot (the New Georgia Sound), points where the water from the channel meets the ocean, and sheltered coral gardens. 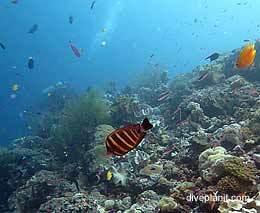 Uepi Dive also organise trips to nearby wrecks and reefs. 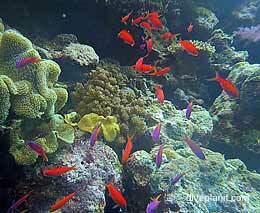 Because of its unique location in the Solomons where ocean and lagoon currents meet, it is a place where the fish life is prolific. 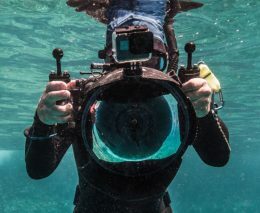 Anything from Hammerheads to rays, barracuda to reef sharks, down through all the usual reef fish to nudis. Once you’ve experienced the phrase “The Point (Uepi Point) was really going off this morning! !” – you’ll know exactly what we mean. 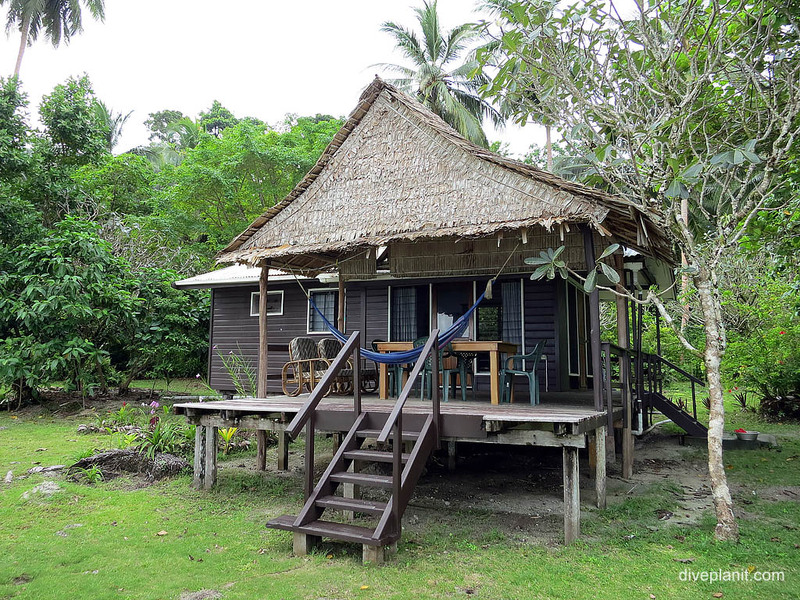 Though Uepi is only 90 minutes from Honiara by plane and boat, it is a place where you can recapture your spirit of adventure and exploration. The owners of the resort, Jill and Grant Kelly, are great believers in giving back to the local communities around the lagoon. As well as providing employment for the 50 staff, they train their employees on-site, and are involved in a number of local projects supporting the development of health and education. Uepi Island is within the New Georgia group of Islands – north west of Guadalcanal, and is one of a chain of islands that separates Marovo Lagoon from New Georgia Sound (“The Slot”) – which runs between the New Georgia Group and the Choisel and Santa Isabel islands. 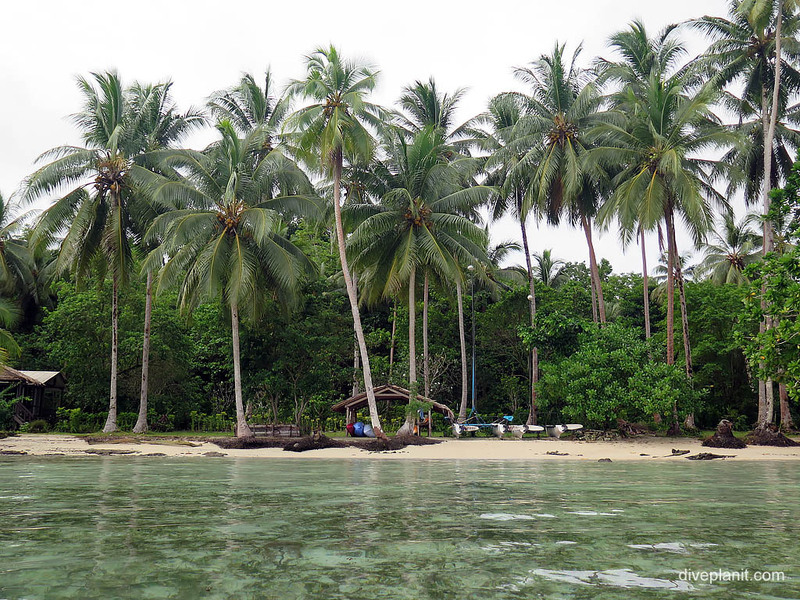 There are domestic flights from Honiara to Seghe – the principal town of New Georgia; Uepi Island is a 40 minute boat ride from Seghe. Uepi Island Dive Centre is the Dive Operator on Uepi. 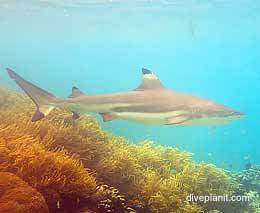 The diving is classified into dives around the island, and dives further afield that are done as excursions or day expeditions! 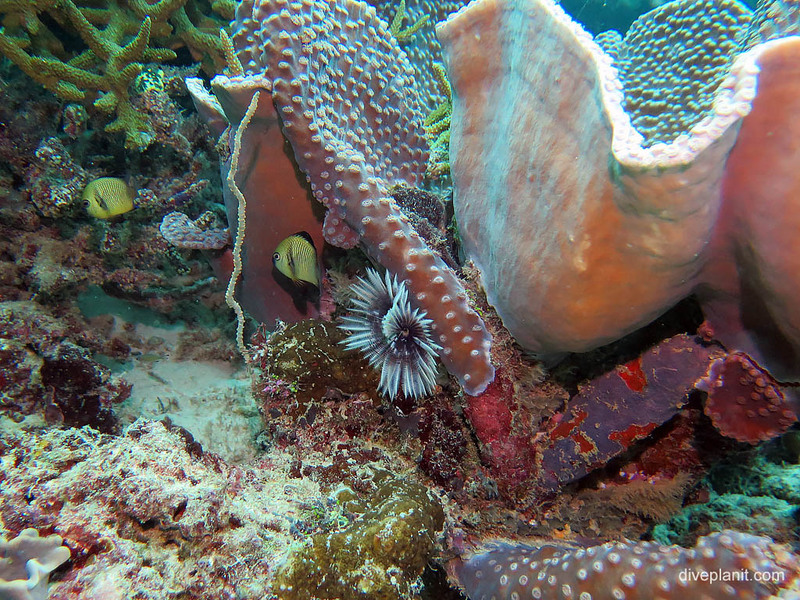 Here is but a small sample of what you’ll find on the immediate reefs close to the resort. 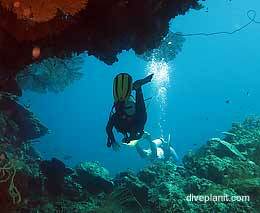 The island dives are within 10 minutes by boat – there is an excellent map of these available on the island. Most other local sites are within 30 – 40 mins by boat. 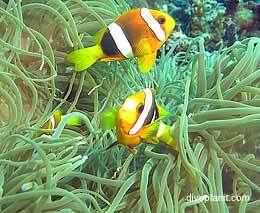 The dive expeditions, such as the Bapita Day trip are done as a full day dive trip and takes in four sites. As well as the reefs, there are wrecks of WW2 aircraft and new wrecks and reefs are being discovered by the Uepi team all the time. The resort has ten guest bungalows of various sizes and configurations, and the Main House which houses the restaurant, bar and relaxation areas. The Main House and half the bungalows are on the water’s edge facing the lagoon, which supplies a cooling breeze for most of the day and evening. The whole resort is designed in keeping with the local way of life: almost everything that can be is made from local timbers, from the roof joists to the furniture; there is no air-con, instead rooms are cooled by through breeze, ceiling and standing fans; water is harvested every times it rains, stored centrally and delivered through a pressurised mains system throughout the resort. Three square meals, prepared using locally sourced produce, are served in the Main House, though lunch can be taken on your own veranda. Tea and filtered coffee making facilities are available in each bungalow which also has a fridge. 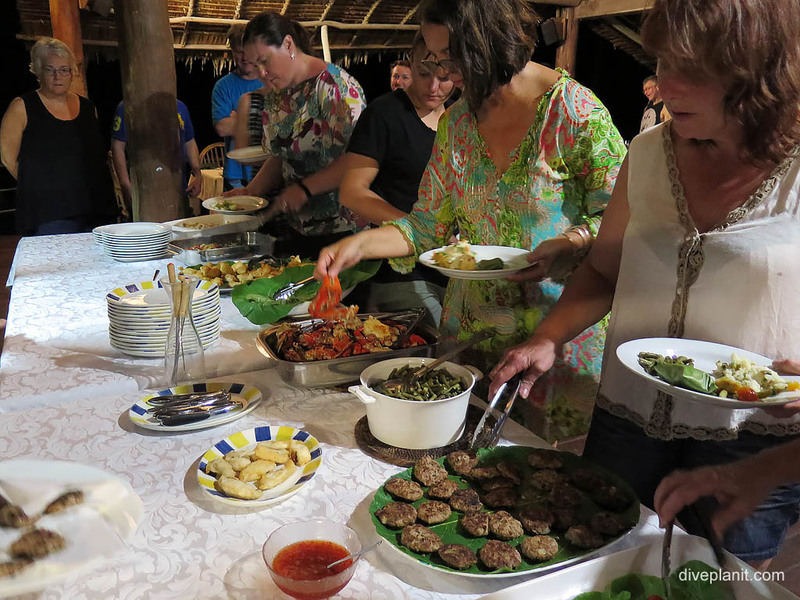 The resort can cope with food intolerances and allergies (which should be declared on arrival!) The bar is well stocked with soft drinks, local beers, Australian wines and a few spirits. Guests are permitted to bring and consume their own snacks and beverages, in the bar, in the restaurant and in their own room. 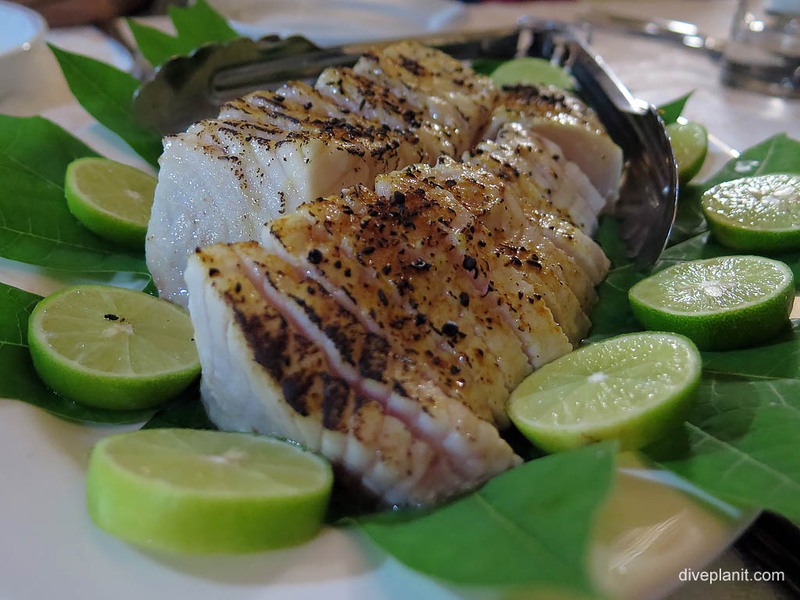 Though with the great, locally caught meals like this sashimi, who needs snacks? Walk – and after a few days you realise that footwear is actually quite redundant on a tropical island. 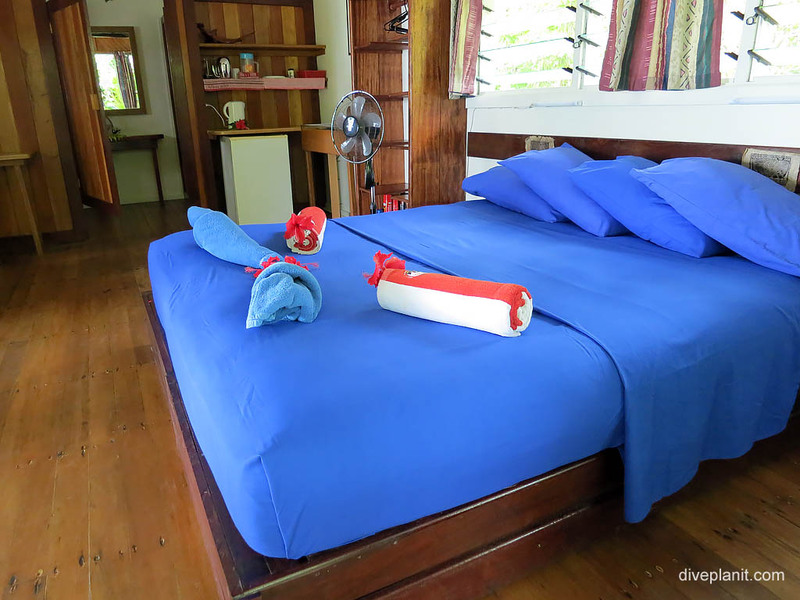 As well as the diving and snorkelling the resort has kayaks, hobby cats, and stand up paddle. There is an hour’s bush walk laid out on the island and trips to a local village can also be arranged. The resort also offers laundry facilities, and has a masseuse. 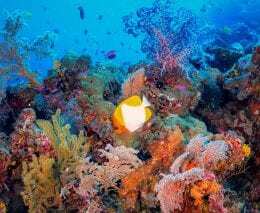 There is a Wi-Fi corner in the lounge, which also has an extensive library of books on fish, corals, nudis and other critters, a table tennis table, and big screen for presentations or watching TV or DVDs. 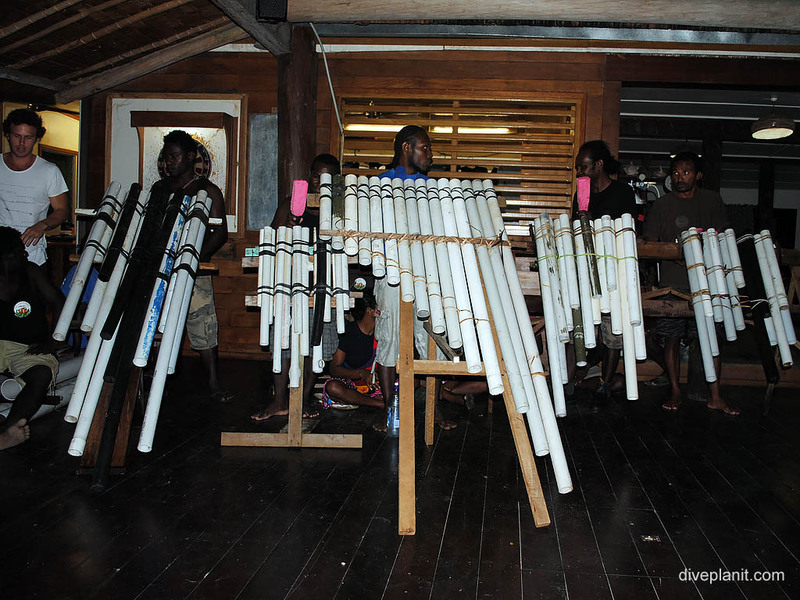 If you stay a week, one night will be ‘band night’ which is a very local rendition of Solomons music. Along with the T-shirts and other small handicrafts, you can buy carvings produced locally by hand. There is no malaria near Uepi, so if you’re flying straight in to the Solomon Islands and off to Uepi on the same day, you would be very unlucky indeed to be exposed to malaria. 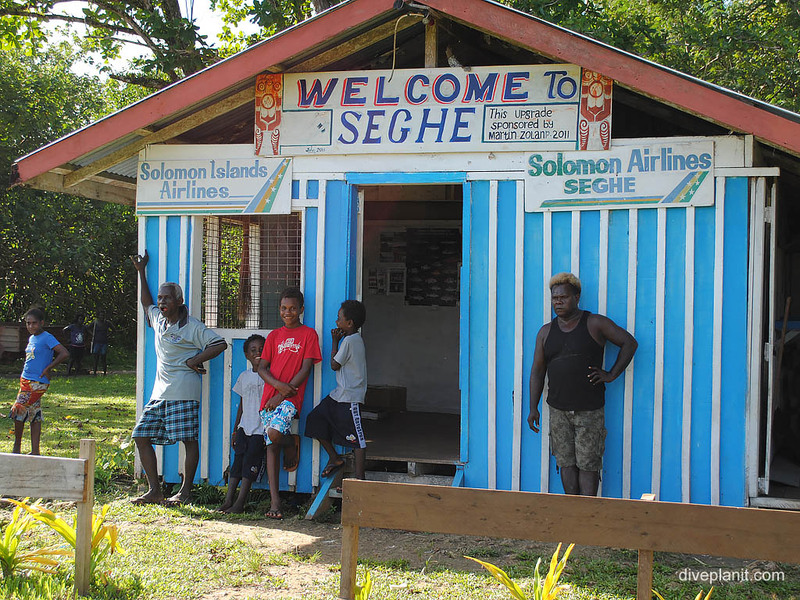 Solomons Air has two flights daily to Sege (or Seghe). Technically the luggage allowance is 16 Kg check-in plus 5 Kg hand luggage, but rumour has it that divers are allowed up to 30Kg. If you plan to take all the gear, I recommend you check this and get it in writing from their head office. 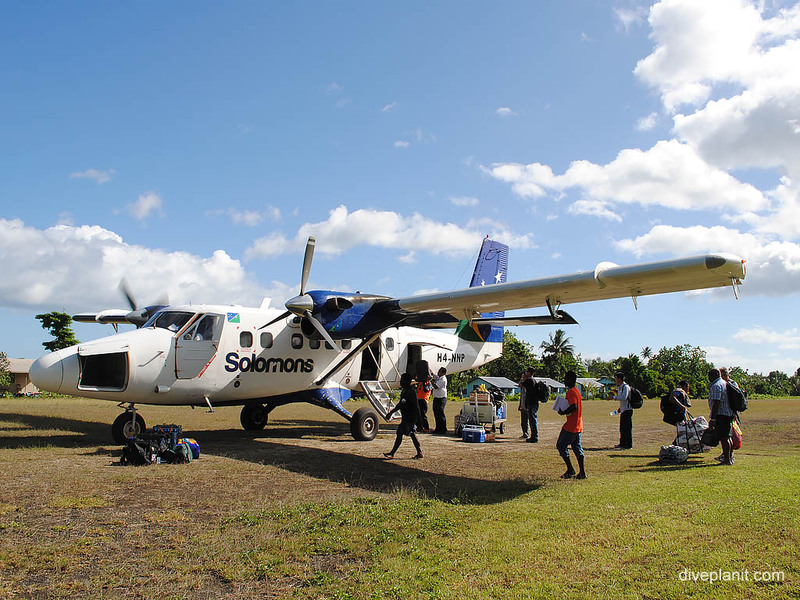 As at mid-2014 the only planes flying the route north to Gizo (or Ghizo) and Sege were the 16 seater Twin Otters: do expect to be weighed at check-in, do not expect in-flight service, or a toilet or air-con (unless the pilot opens his window). Though this flight does have the best in-flight entertainment which involves looking out of the window all the way. The Uepi Resort boat meets the plane, and within 5 minutes of landing you’ll be zipping across Marovo Lagoon on an open boat. Spray jackets are provided, and the luggage is well protected by a tarp, but as you’ll probably want to take photos as the boat passes islands and villages I recommend having a camera already loaded in a housing. Take your own wine or spirits if that’s your tipple.